Hot flashes: They’re a trademark sign your body’s reproductive hormones are slowing down. Whether you just started getting hot flashes, you’ve been having them for years or you’re wondering when they’ll start, it’s important to know what to expect regarding this part of menopause. 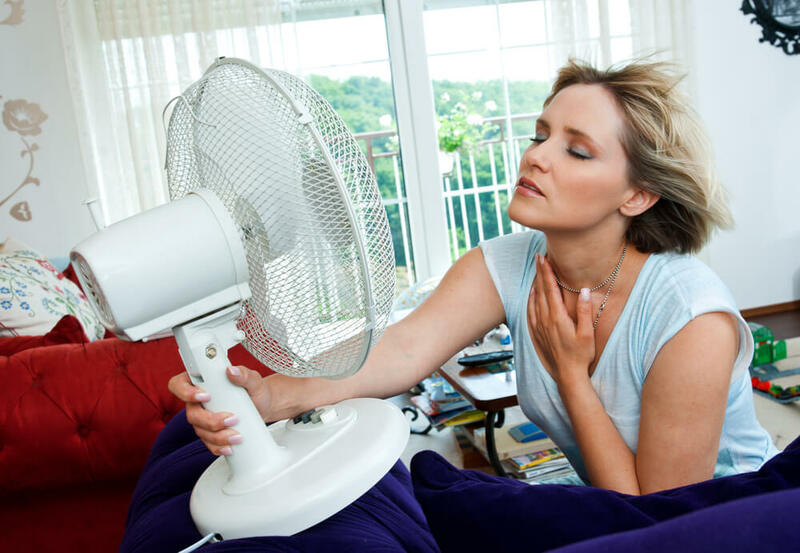 A hot flash starts as a sudden hot feeling in your face, neck and chest. Your skin might become blotchy and red. You may start to sweat profusely. The sweating can lead to a chill. In some women, heart rates speed up as well. Hot flashes are more common at night and usually only lasts for a few minutes. Some women experience only one or two a day, while others have many. While it is unknown exactly what causes hot flashes, medical experts think that the changes in circulation of certain hormones can affect the hypothalamus, which is the body’s thermostat. The hypothalamus functions in both the regulation of certain hormones and maintaining normal body temperature. 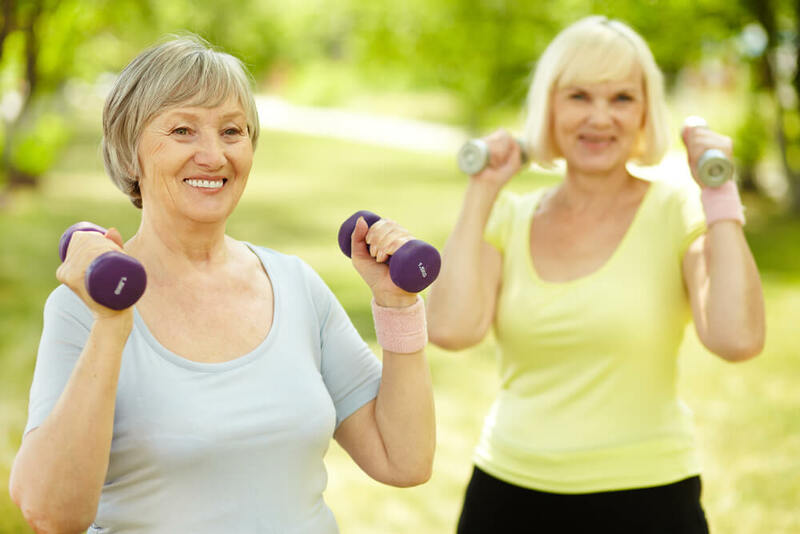 Even though the average age for menopause is 51, women can enter what is known as perimenopause as early as eight years before menopause. Perimenopause is when a woman’s body begins experiencing hormonal changes even though she has not yet stopped having menstrual cycles. Perimenopausal symptoms include irregular menstrual cycles, fatigue, vaginal dryness and hot flashes. Women have different experiences in the years leading up to menopause, but it’s perfectly normal to begin having hot flashes long before your period stops. Some women have hot flashes at certain times during the menstrual cycle or after taking certain medications which have an effect on hormones. The most common time for women to notice hot flashes is at the beginning of menopause when the reproductive hormones are dropping. Frequent hot flashes can significantly affect a women’s life, especially if they occur during the day when she is at work or engaged in other important activities. About 70 percent of women experience hot flashes, and they typically continue for about a year, but can last for 5 years or more. Hot flashes are uncomfortable — is there a way to avoid them altogether? While you may not be able to completely prevent them, you can avoid triggers that may make them more frequent or more intense. If you find that caffeine, stress, alcohol and heat aggravate the issue, try watch your diet, manage stress and stay cool in hot weather. If hot flashes are having a significant impact on your life, talk to your doctor about treatment options. Hormone replacement therapy is the most effective treatment for hot flashes, but it comes with risks. Some women should not take hormones, and others should balance the risks and benefits. Non-hormone treatments options may also help you reduce symptoms and manage the changes in your body. Going through menopause can be an emotional, physically exhausting endeavor. But you can take steps to maintain your health and lessen symptoms. First, quit smoking. Smoking cigarettes can negatively affect hormonal balance. Second, try to maintain a healthy body weight. Join a gym or work with a personal trainer to shed extra pounds, and exercise three to four days a week. Finally, make sure you’re getting the vitamins you need by adding fruits and vegetables to your diet. Add low-fat, high-fiber, high-protein foods and whole grains to help you manage menopausal symptoms and lower the risk of health problems like heart attack, stroke and cancer. Hot flashes are challenging to manage, but they don’t have to take over your life — talk to Rocky Mountain Women’s Health Center today to learn more about how your body is changing and what you can do to increase wellness. Previous post: Are Ovarian Cysts Normal?